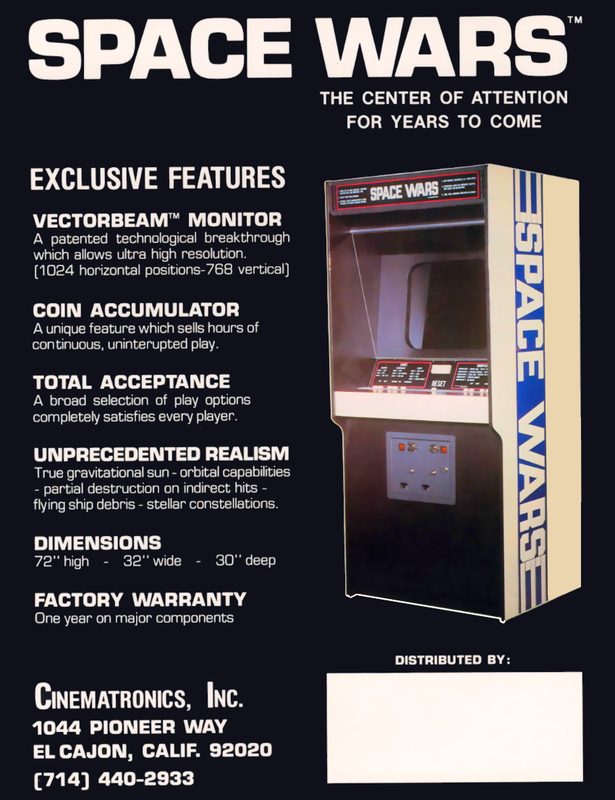 VECTOR Graphics when Cinematronics ruled! Its Asteroids vs Star trek! Looky Looky a number pad. 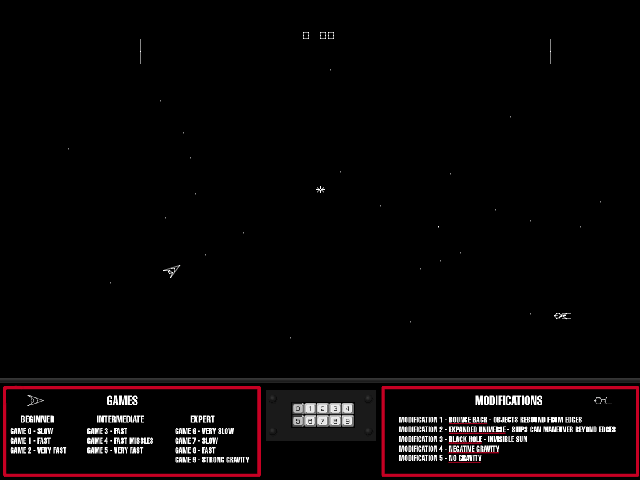 You mean you would program your game with gravity, thrust speed and bounce? Last edited by CRTGAMER on Sat Nov 26, 2016 9:51 am, edited 3 times in total. That was the only game worth playing at D&B for quite a while when friends insisted on going there. I wonder if I still have the printout from the last time I played it. That thing also has the highest volume control ever. Wow... Smash TV comes to mind as a hit, as do STUN Runner and the Terminator 2 arcade game. 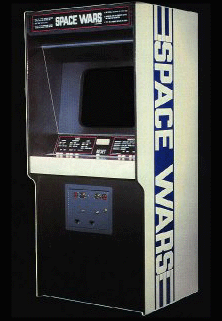 So many great arcade cabinets that it's hard to remember them all now. Oh yeah! I totally forgot about this old-school game called Phoenix... it was amazing! Hearing the music sound off after defeating the mothership "boss" was always so rewarding. 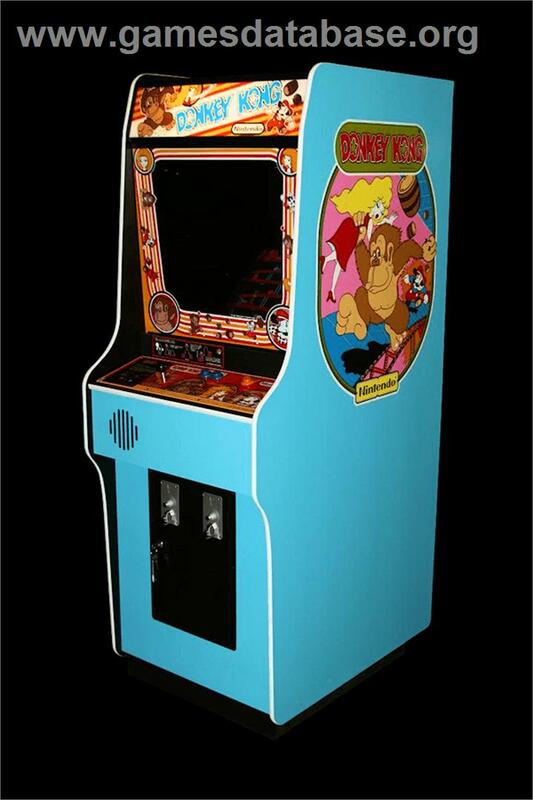 A mega-greasy little burger joint back home used to have this set up, and my friends and I always made a point of playing whenever we'd hang out. Great times! MrPopo wrote: How about an Elemental, like in Mechwarrior Living Legends? Those buggers are annoying as hell, especially if you don't have weaponry suited for taking them down. I havent played it yet, I forgot to buy Crysis during Steam Sale - got too involved with Monkey Island. Those Battlemech pods that use to be in Atlanta are now up north at some college. I found that out randomly googling something else. If I ever get the money I want to build my own, I have most of the blueprints somewhere. If you build it, I will show up at your place to play. What did Dave & Buster's replace them with, and what college was it? ejamer wrote: Wow... Smash TV comes to mind as a hit, as do STUN Runner and the Terminator 2 arcade game. So many great arcade cabinets that it's hard to remember them all now. Any Arcade game that has one player using two joysticks has got to be great. I am so hooked by this game that I took a Playstation Blaze Two Player Twin Stick and toggle switched jumper wires from joystick player 2 over to Player 1 TRIANGLE SQUARE O X buttons. Now able to play Robotron and Virtua On just like the arcade. I was going to mention an IIDX cab if no one else did, but someone thankfully beat me to it. The details are what's cool about those, not just the pure size and the stereo. There are LED lights that scroll by with the name of the song, effects knobs that go mostly ignored all over the place, a huge screen, huge speakers, two beautiful turn tables and fourteen Sanwa keys, bright thumping lights, and it's own stand to perch upon, so as not to tarnish the experience with the filthy floor of the arcade around it. As far as practical cabs, Candy cabs are hard to beat. Standing or with a stool, they're ultra comfy and functional cabs to get one's shooter on with. 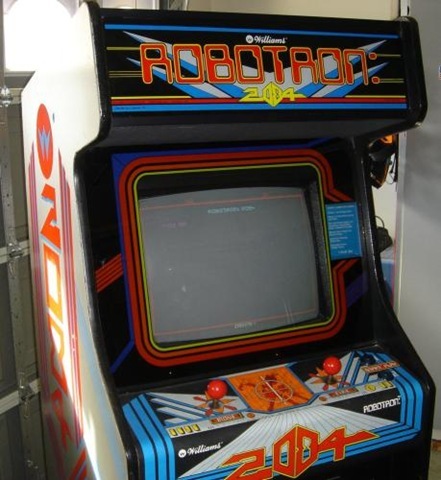 As for Robotron 2084, making a standalone Robotron controller is totally a future project of mine, for all those dual-stick wagging games out there. Love this game so much. Friends and I would go down to local Mini golf place. Drop 10 dollars each on tokens and play this till we ran out. Such a fun game if you have 4 players. Also Virtua On was pretty amazing the first time I played it. As you can see there is nothing glamorous about these cabs it's what's inside that counts!